What do you do on a rainy day, bake, clean, tear your hair out in frustration ? Not me I retreated to the workroom. 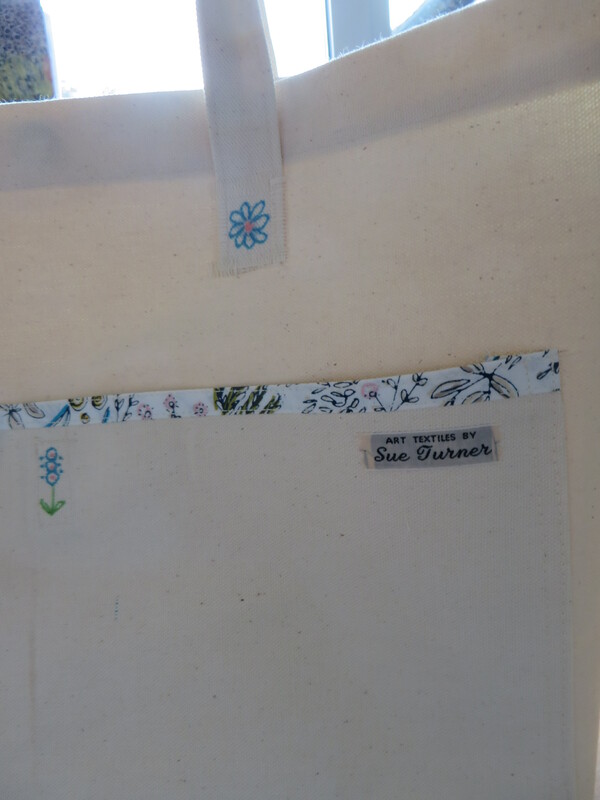 Not had a making day for ages and with a nice piece of calico sitting begging to be used, what better than yet another bag. Oh no not another you cry, how many can a girl have ? 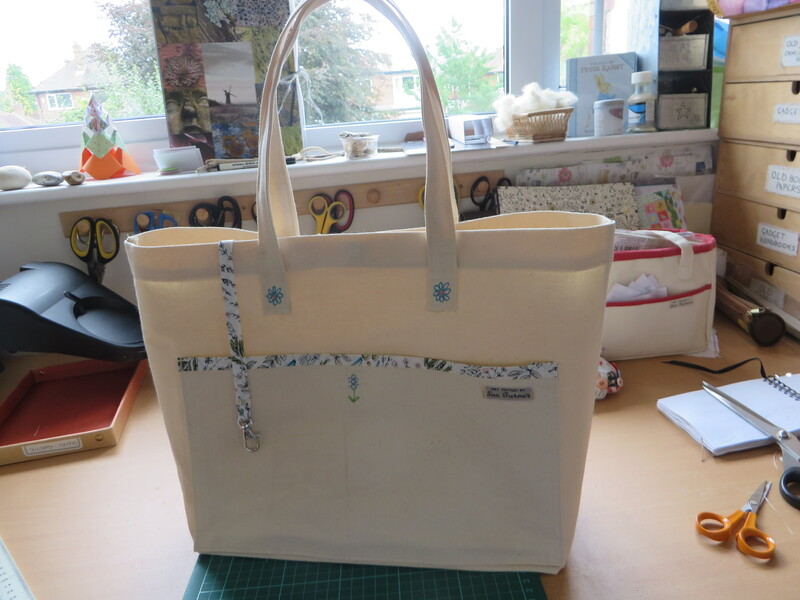 Well this is a sturdy one just right for carrying art materials or sewing notions when I want to work outside or on holiday, or I could just use it for shopping ! It’s good and strong with a key fob and a little detail courtesy of Sharpie permanent pens. Just taking this opportunity to write a post. It’s Granddaughters day, so after printing on t’shirts this morning and helping to lop some wayward branches off the Medlar, Mr Malc has taken the girls to the allotment to get them off their screens ! So with a little peace and quiet I thought I would show a few more pictures of the garden. 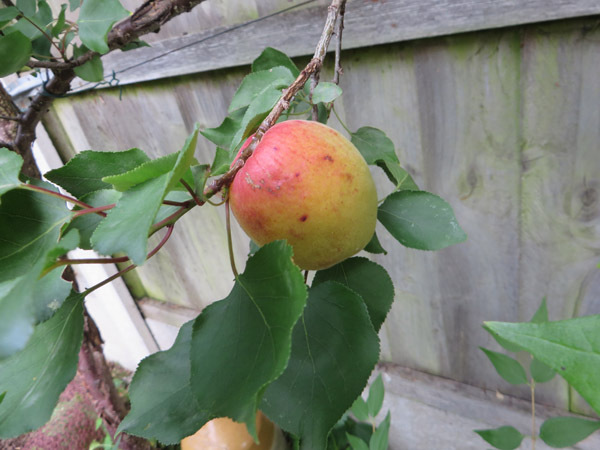 The Apricot has started to bear fruit. After a very good start with the blossom, then the June drop, I have ended up with about a dozen apricots. I am quite pleased with this, they are large, looking ripe but not quite. After our trip to N’ Wales and our stop off at Crug Farm Plants we arrived home and I couldn’t wait to find homes for some of my treasures. 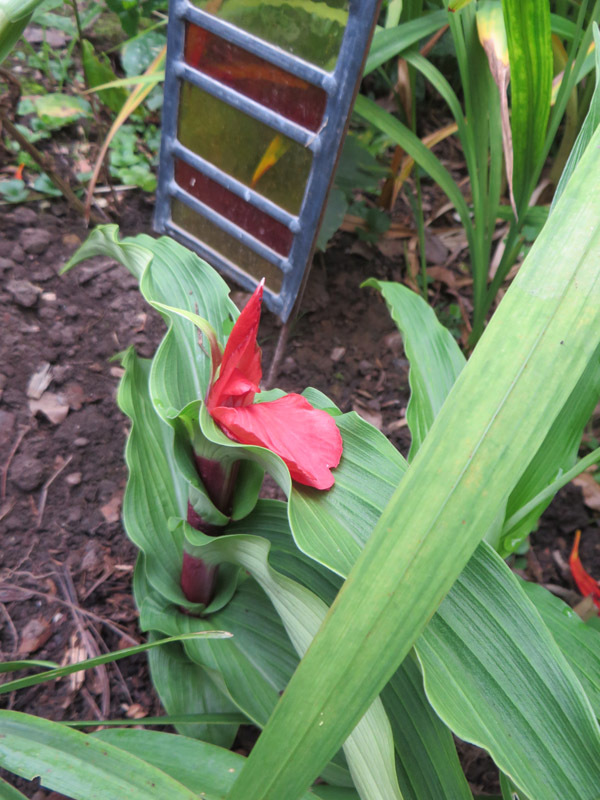 This one being Roscoea purpurea f. rubra Gurkha RedStem, I don’t think I have ever seen a red Roscoea before and it is going to be quite a strong plant. These are the fattening buds of Bomarea boliviensis , this is a non climbing bomarea with pink and green trumpets. I will post a picture as soon as they open properly. Crug Farm Plants. 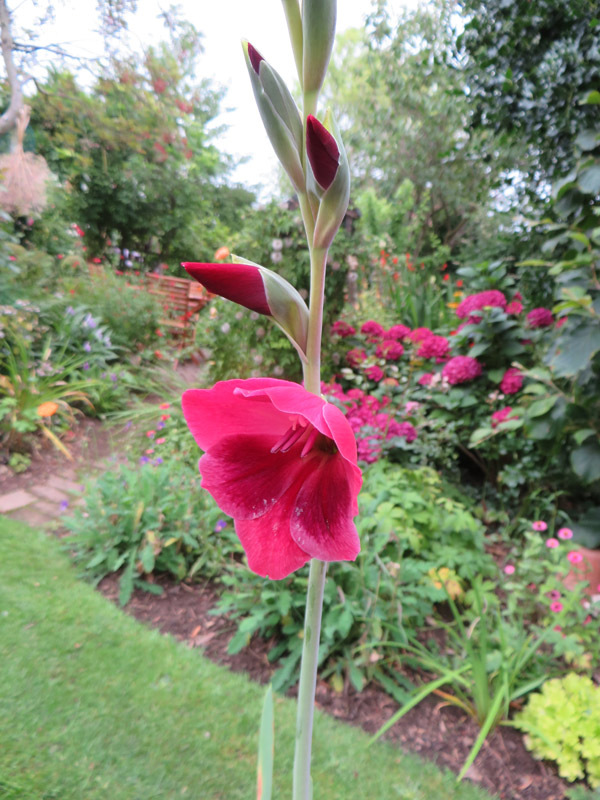 Gladiolous Papilio ‘Ruby’. 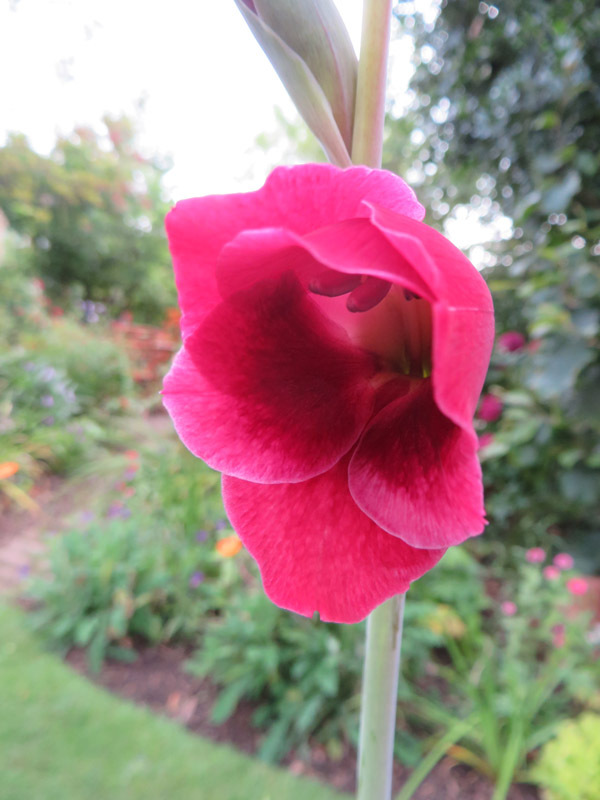 Bought in 2012 from Elizabeth MacGregor, when planted it immediately broke into lots of small bulbs, so this is the first time they have been mature enough to flower. Boy what a stunner, it was worth the wait. Several stems and still lots of immature bulbs. 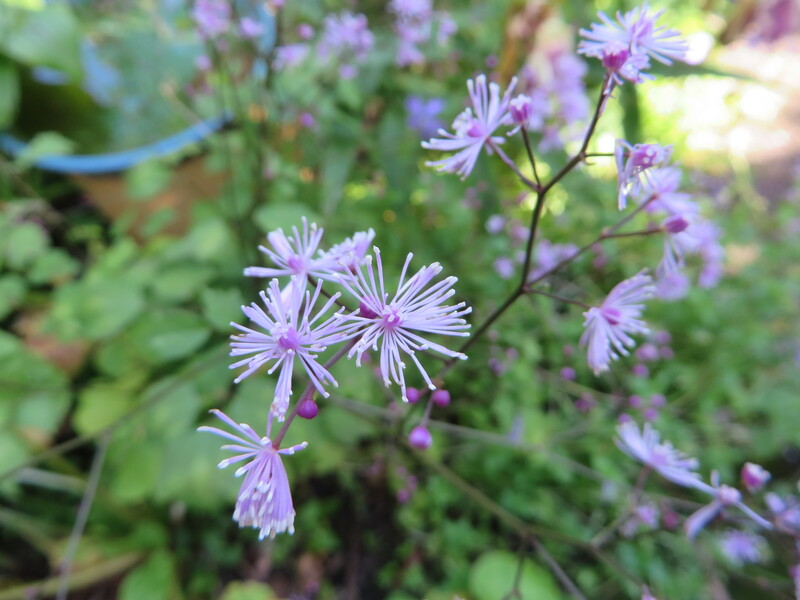 Now I’ve always had a liking for Thalictrum and when in flower whatever the type I can never pot enough up to sell. This is a new one for me, it being a very large flower, Thalictrum delavayi BWJ7770. 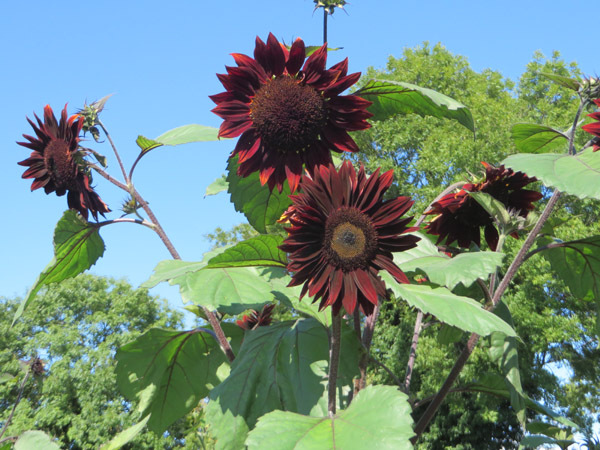 Grown from seed collected by Bleddyn Wynn – Jones in 2000 from Yunnan China. Crug Farm Plants. This is one plant I would love to see seed around. 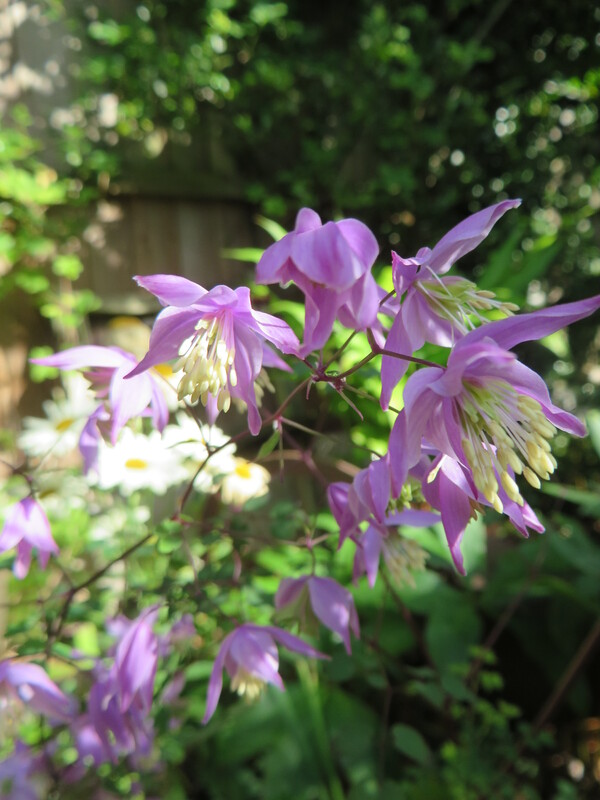 This is another Thalictrum from Crug 2013. A very tiny flower short well branched deep purple stems, looking very stiff compared to any other I have. Thalictrum BSWJ4946. 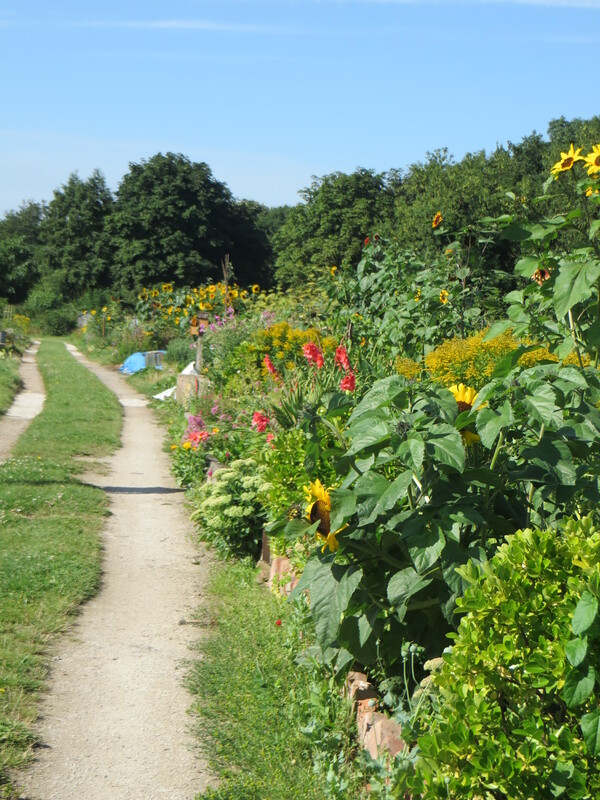 Last Sunday I had a walk with Mr Malc to the allotment, I was really pleased I did, nearly every plot that was cultivated had some kind of flower or flowers growing on it. 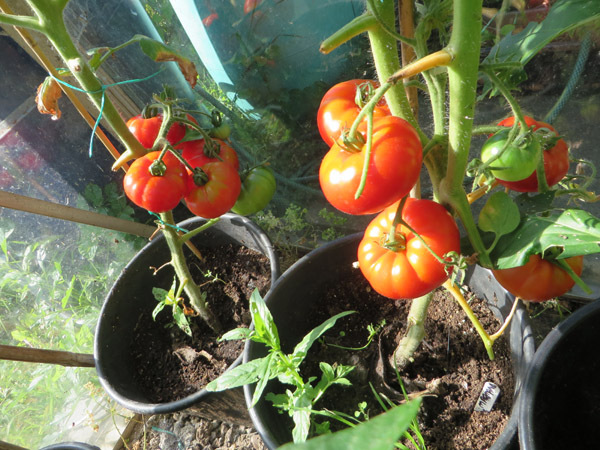 Some extra tomato plants were put into the pepper house and are doing really well, Marmande. We have been cropping tomato from the other greenhouse for a month or more. 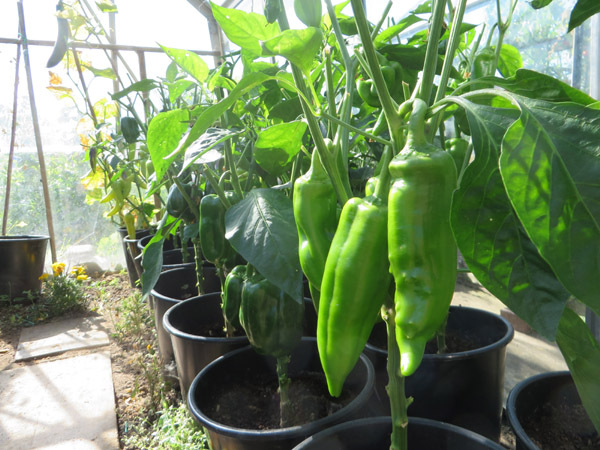 The peppers are also doing well, we just need a bit more sun to ripen them. 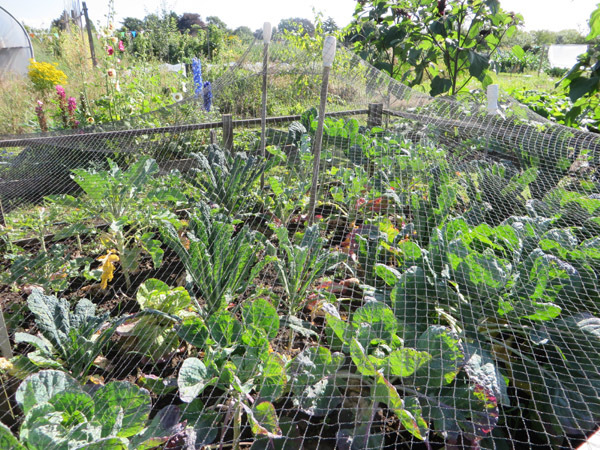 Cabbages, Kale and Brussels sprouts are looking the best we have seen for a few years now, no sign of club root. 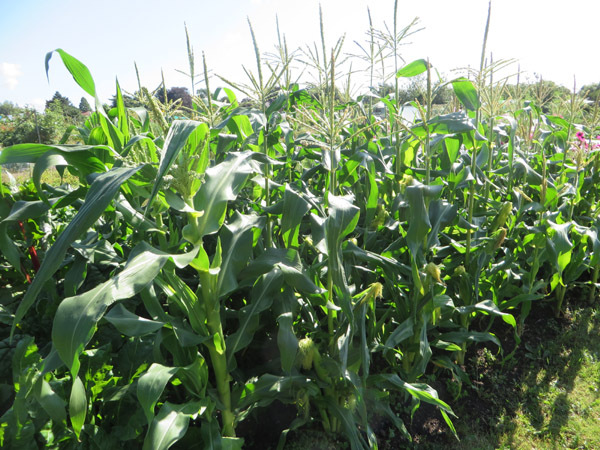 And the sweet corn ! That’s a crop we are really looking forward to. 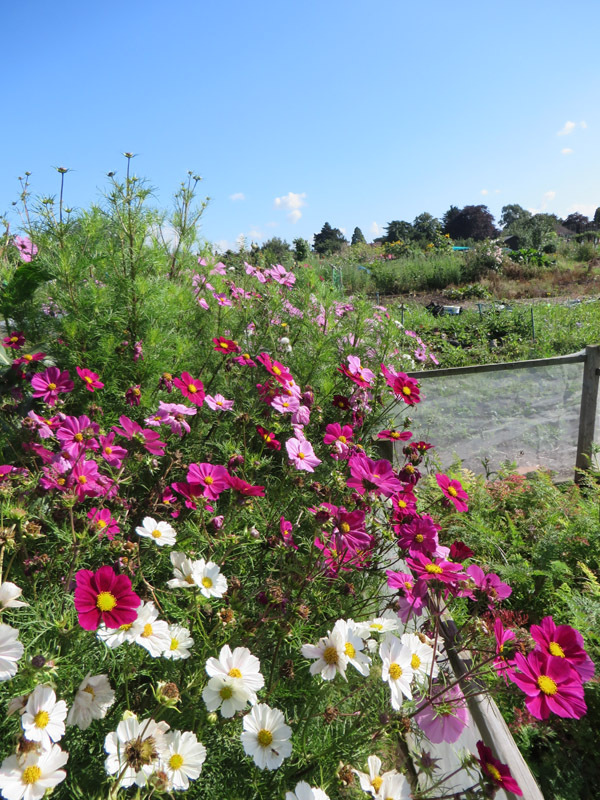 Now at home I grow a few measly Cosmos, but here we have ten, yes ten plants. I have had bunches and bunches bought home for me for at least six to eight weeks now. So I won’t bother growing them at home anymore. This is my little plot that I put some bi-annuals in earlier in the year. 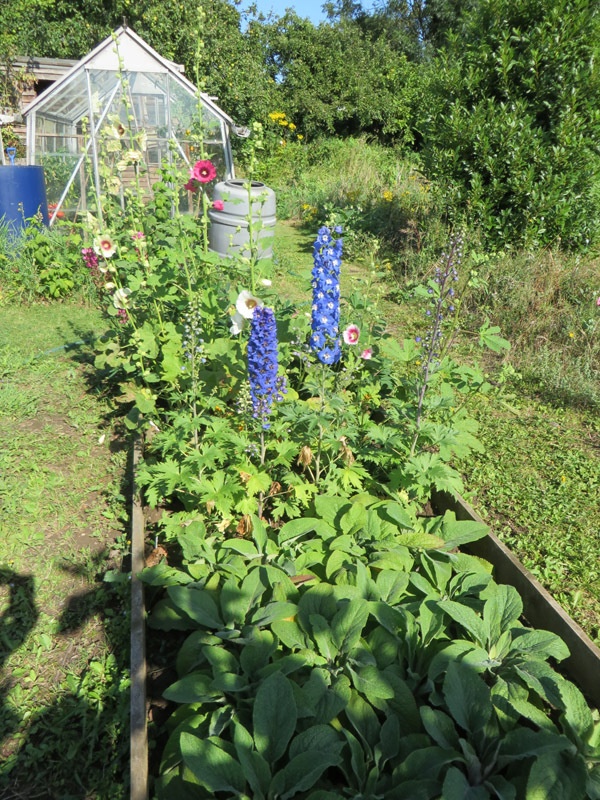 These were all grown from seed this spring so no -way was I expecting any of these to flower before I lifted them for next year, but here we have Delphinium, Hollyhock and Lupins. So do you think they are worth lifting next year or do you think I am wasting my time and they won’t flower again ? Who knows…. Now this is our gift. Our neighbour has a friend who was clearing his parents house out. 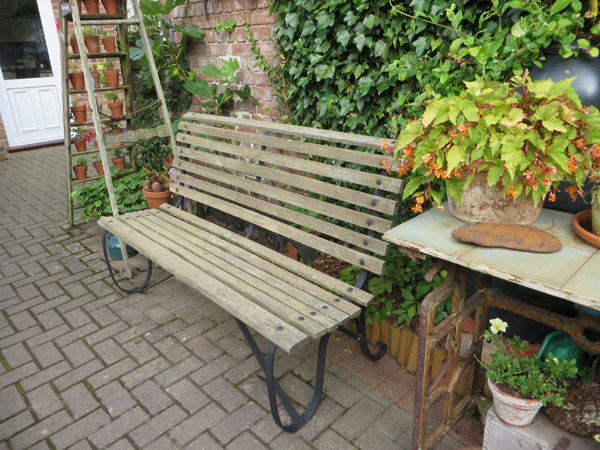 Apparently they were bigger hoarders than me, so when asked, would we like one of three benches that they had found in a shed, we said ‘mmm let us think’…no we didn’t, we said yes please and after a quick clean and a rub down, a spot of black paint on the rivets and legs we have a very nice bench. Thank you Mr T’s friend. Wow nearly a month has gone by since my last post and things are on the move again. I’ve started to take out lots of overgrown shrubs giving me lots more room for more perennials and bulbs. Gone are the Garria, a Philladelphia and a Forsythia. Can’t believe I’ve left these shrubs in for so long. 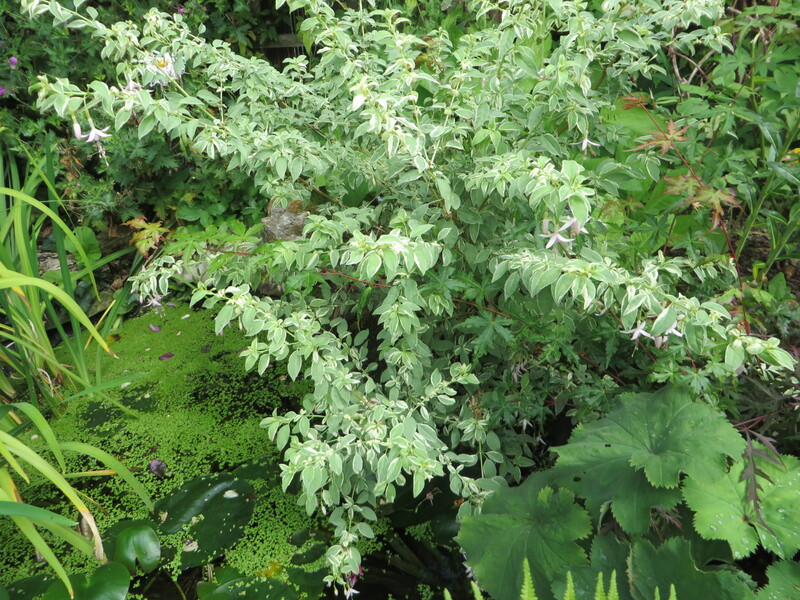 Among these was a fushia that had also outgrown it’s spot, this was originally Fushia Sharpitor, but it had reverted to a plain green leaf, luckily I had taken cuttings a few years ago and now have a lovely healthy variegated leaf plant. All this space is getting me ready for our foray into North Wales soon where we will be visiting Crug Farm Plants and possibly coming home with more goodies. Roscoea Brown Peacock, great looking dark stems setting off huge purple and white flowers. 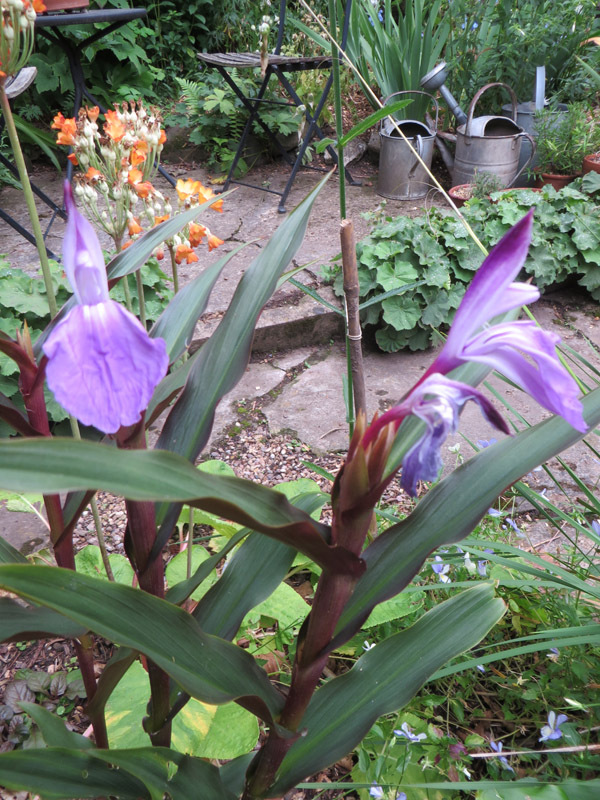 Another Roscoea possibly Auriculata. 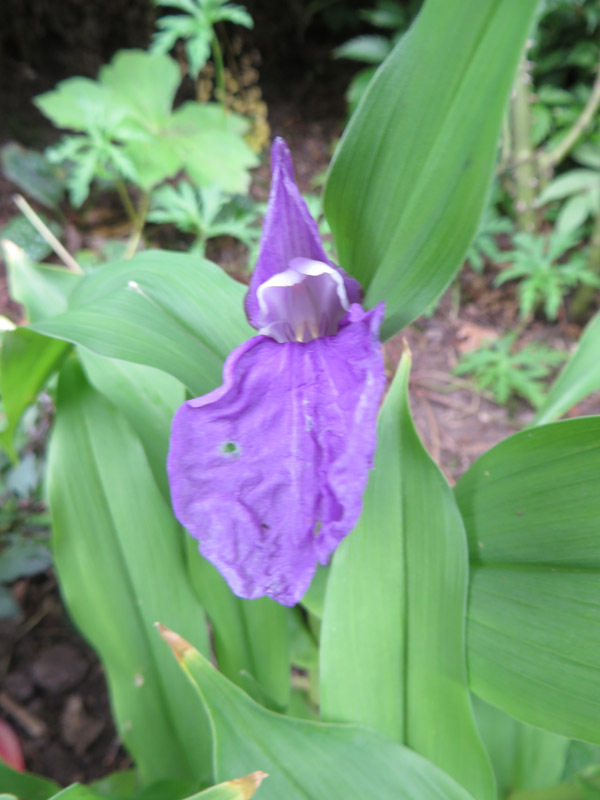 This is good reliable plant with lots of paler purple flowers with a white hood. 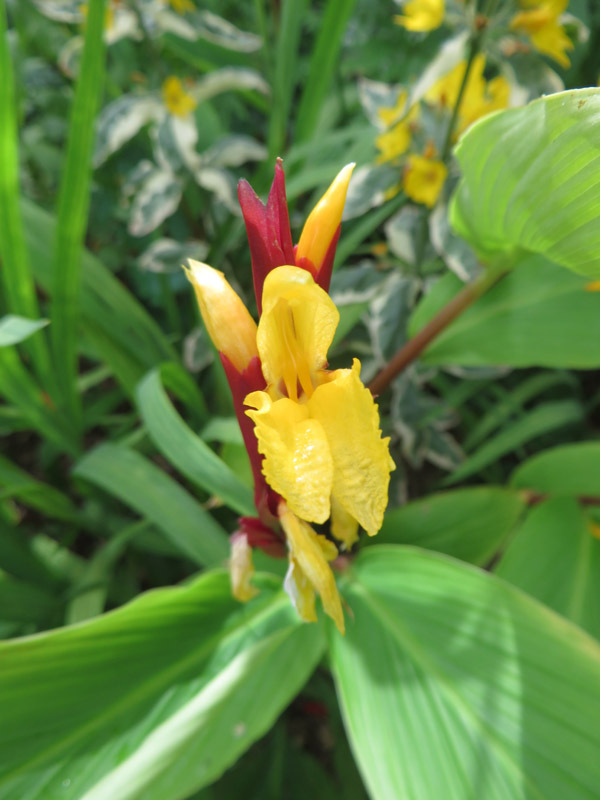 Cautleya Crug Canary looking at it’s best now with lots of flowering stems, plus I have grown a lot from seed from this plant two years ago and they are now reaching flowering size. 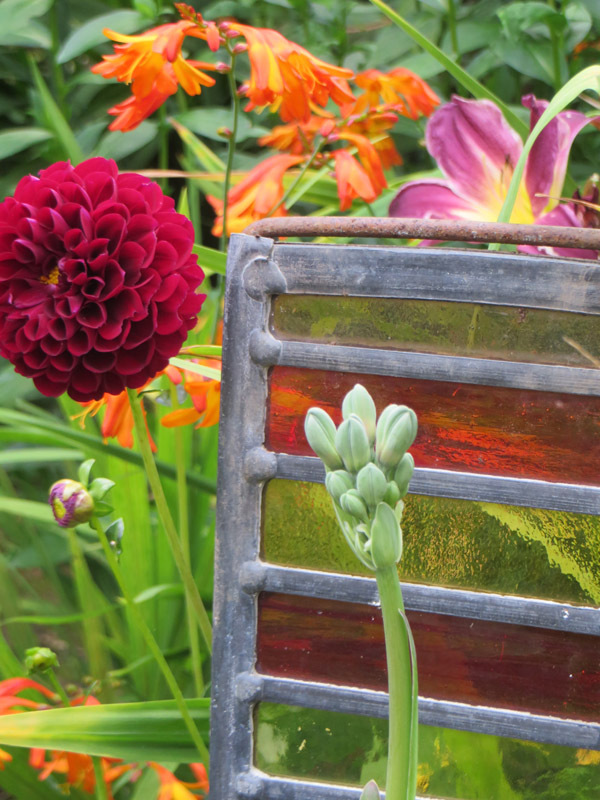 I love the dark red stems, they have been looking good with the Crocosmia Lucifer and other hot colours in this bed. 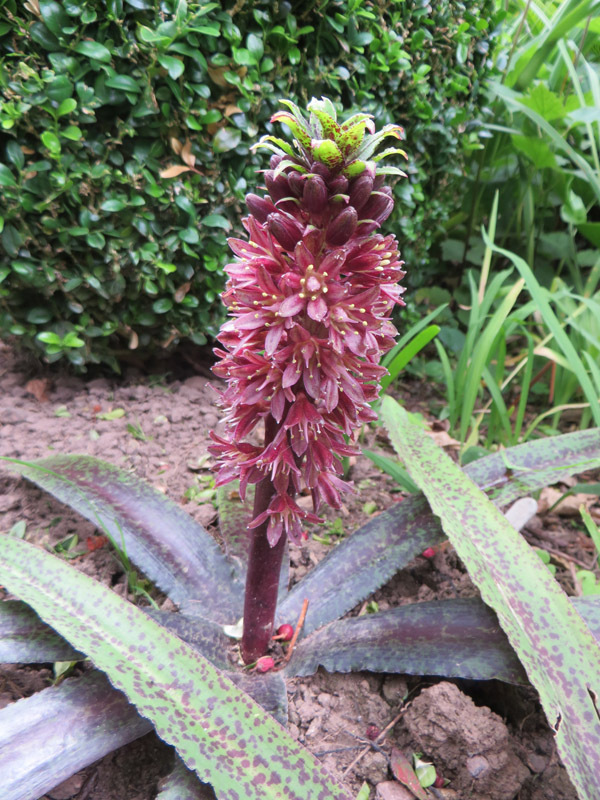 Eucomis Freckles, this is a stunning short eucomis, I thought would be hard to place. Here it is looking good with the thin strappy leaves and soft orange / red flowers of Anomatheca laxa. Sadly the A’Laxa refused to want it’s picture taking. And now my Surprise Invitation.